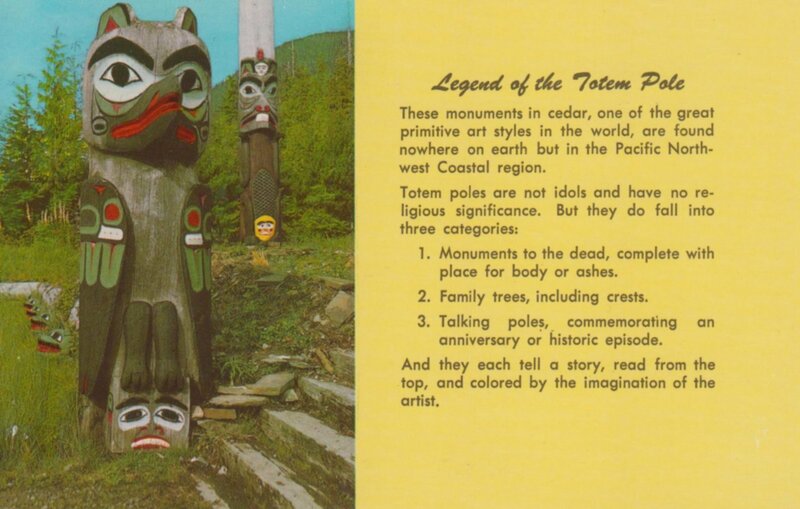 It could be argued that these postcards would have to come from Alaska, or the Pacific Northwest. 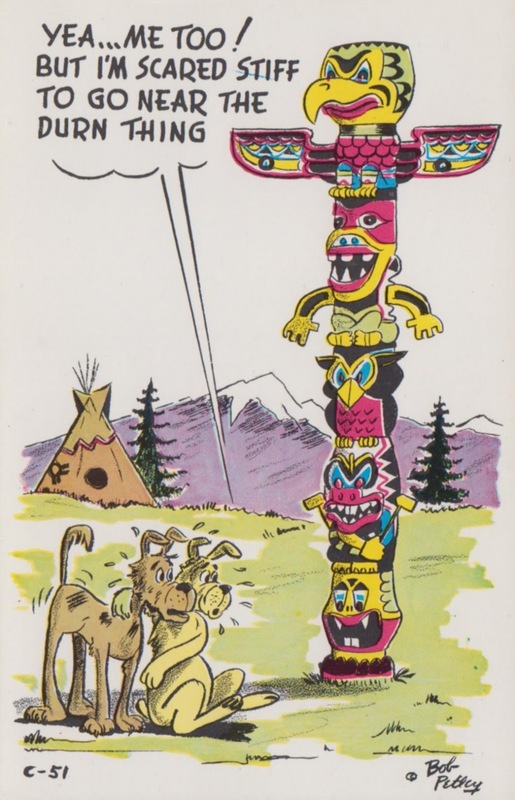 But I am just a huge fan of totem poles and I have a modest collection of Totem memorabilia. 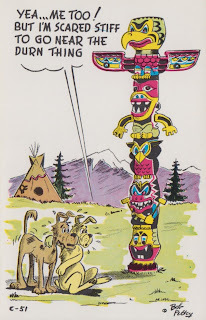 So these are just part of my Totem Pole Collection. 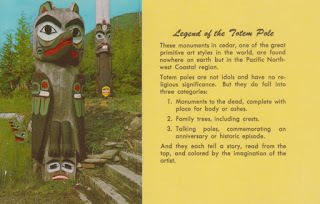 And these two are actually from Antique Malls in New England. I found them while on vacation with Ryan in New Hampshire and Vermont.